Keep It Sharp With Toro Blades: Switch out the old and bring in the new. With grass growth fast and furious make sure you and your machines are ready for high season with Toro’s rotary blades and guarantee a beautiful finish. Too often, we talk about how important it is to have a good quality mower and forget that, just as important as the mower, are the parts you put in it. Now, with grass growth at its peak, is the time to be vigilant and ensure rotary blades are sharp and ready to deliver the best cut possible. Maintenance best practice includes checking all blades to ensure they are not twisted or bent as they require more horsepower to operate, damage the turf, create vibration and noise, and shorten spindle life. Toro’s precisely engineered blades fit the cutting unit perfectly, but each is carefully crafted to specific turf needs. 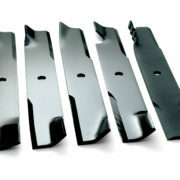 For example, the ‘No Sail’ (flat) blade is a good choice in high summer working well in very dry and dusty conditions and across areas that are not mowed as regularly, plus these blades make quick work of cutting down weeds. The ‘High Sail’ is best used early in the spring season when the grass is still thin and wispy or prone to falling over a lot, or if you’re missing grass leaves with other rotary blades. An ‘Angled’ blade is usually what is supplied as standard with the machine, giving the best all-round cut and the ‘Atomic Sail’ is what’s best later in the season, perfect for mulching up leaves or for use with a recycling deck to mulch the grass. 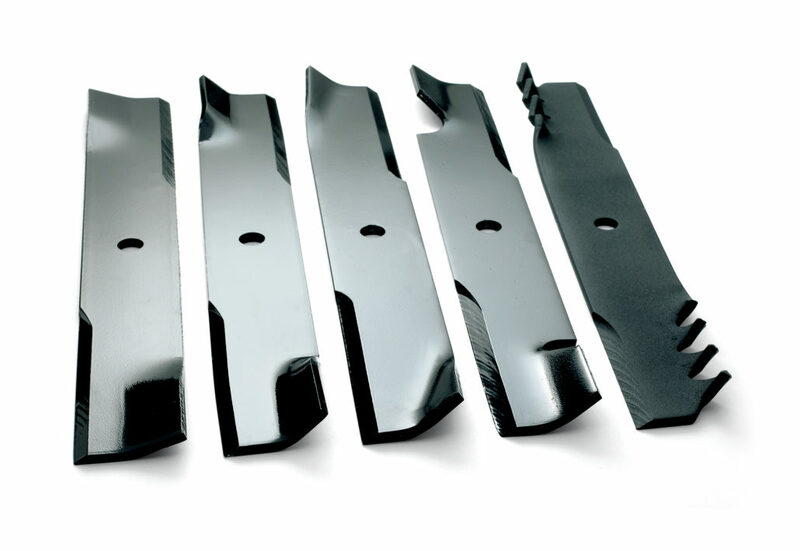 Genuine Toro rotary blades are designed to work harder for longer, reducing the risk of unexpected wear and breakages other non-genuine parts can suffer. They will not need replacing as often as ‘will-fit’ parts and mowers will deliver a sharper cut for a beautiful finish for longer. To find out more or place on order, contact Reesink’s parts department on 01480 226870.